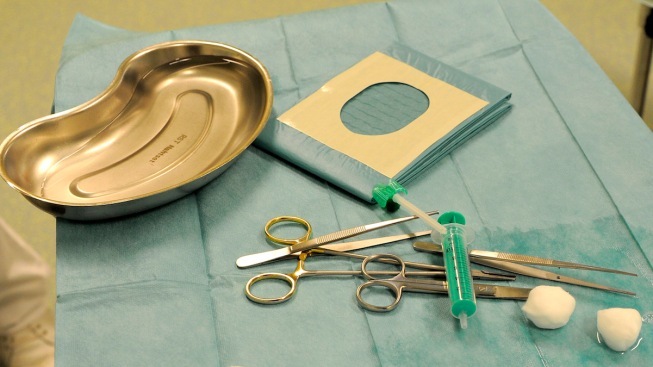 FILE - Scissors, tweezers and other surgical instruments lie in a operation room table. The family of a Tennessee man who died shortly after a surgeon left a needle inside his chest cavity has sued the hospital. Johnson died about a month after the surgery. The lawsuit says Johnson's health deteriorated and described his death as "painful, unnecessary and wrongful." The hospital released a statement saying it would not respond to the lawsuit's claims, but noted it is serious about caring for patients and empathizes with the family.